1. 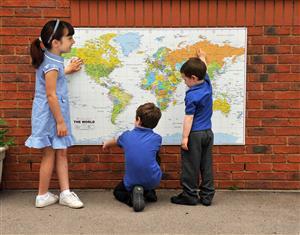 Classroom Activity: How far has your lunch travelled? Students bring one food item to the class and then investigate it’s story. Does it have multiple ingredients/components? What do we know about how far it is likely to have travelled to get to us? Is it grown at this time of year (in season)? Consult the Food Choices Audit for tips on how you can find this information. Collectively calculate the distance the classroom’s lunch has travelled. Plot the location of items on a physical map helps to visualise the distance. Make copies of the map for students, including the legend or scale. Mark foods that fall within 100 Miles (160km radius). See 100 Mile trial map, or 2013 blog map for examples. A simplified version is to have teacher bring in two different food items to show students: one that is in season locally, and one that is not in season and has traveled a great distance. Take on one or more of the possible challenge week actions as a class. Click on the green bicycles here for additional resources. This could work well over a series of sessions focusing on a different key area in each session. Decide as a group which challenges you will do. Discuss why thinking about food miles is important. 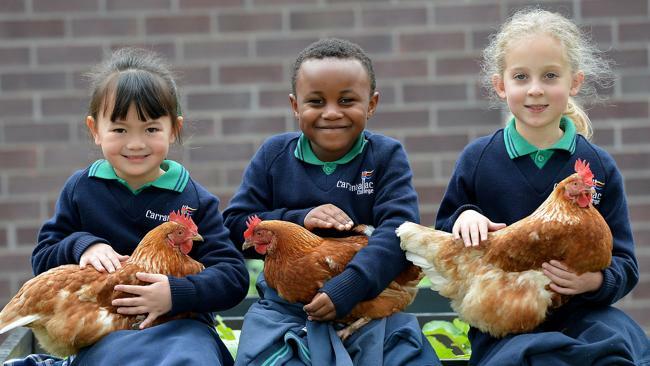 Ask students to bring one item from home that meets the criteria for a ‘local’ food. Share lunch together. 3. Classroom Activity: What food is found close to you? Use the Local Harvest map to find good food alternatives close to you. Use the ‘filter’ tab to refine your search. Discuss the issues surrounding supermarkets and convenience. Resources: Supermarket dominance (here). Industrial food system (chart here and Michael pollan – Food Chain vid here). Explore how you would transition to a low ‘food miles’ diet. (ie. go to a farmers’ market near you – what is the closest one to you?). In addition to the Local Harvest website, the Flavour Crusader blog is another great resource for finding local, free range and organic produce from small farms in Australia. See their milk, eggs, pork, garlic, chicken, fruit and vegetable, and turkey directories. Our Local Harvest ‘Food Choices Audit‘. Also has information and links to resources on country of origin labelling, what’s in season, and what’s grown in Australia. Nourish Life curriculum ‘Activity 2 Seasonal, Local Foods‘. This is a US resource. Includes Seasonal Circle student pages. Download full curriculum here. CERES food miles report. 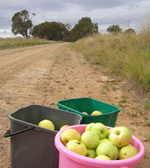 Data was collected to establish food miles and greenhouse gas emissions estimates for a typical food basket in Victoria. Register for the Challenge and share your discoveries!